Wendy…I hate to be the one to break the horrible, nay, nay hideous news, but… we were NOT selected as finalists in this year’s $#%@!! Pillsbury Bake-off 100 Finalists. Yes, I know, last year, we spent nearly all of our savings on Pillsbury products, slaved hours in the test kitchen (okay, my kitchen), force-fed everyone we know Pillsbury products, and yes, even sacrificed our hips and thighs. For what? Oprah to announce Million $ Winner! To say I’m bummed is like saying the Grand Canyon is just a ditch. I’m wrecked. 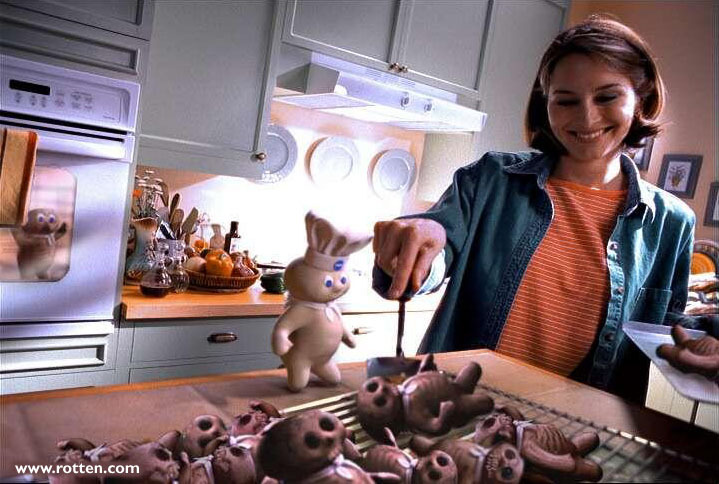 And the kicker in my Pillsbury depression? The winner will be announced on… Oprah. Yes. Our Oprah. The one you and I have always fantasized about being interviewed by and whose book club we aspire to being chosen for. I am banging my head against the monitor as I write this. Remember how we put off entering our recipes until the deadline day? Remember how your computer was broken and I drove 450 frikkin’ miles to your house and forgot to bring mine? Remember how we got up early and borrowed your neighbor’s library card? Remember how, when we got to the library, all the computers had people using them? Remember how we cussed? Remember how, when we finally got on a computer, we accidentally submitted some of the wrong measurments…and then the computer shut off, because we’d used your alloted half hour and your neighbors alloted half hour and we were locked out? Remember how we cussed some more? Remember how smug we were when we knew we still had one more half hour because we had your husband’s card… and then found out that the stupid contest closed at noon EASTERN TIME?? HUH? REMEMBER? Although the cooking finals will be held here in Orlando, the winner of the 44th Pillsbury Bake-Off Contestwill be announced April 14, 2010, on “The Oprah Winfrey Show.” The 100 finalists will assemble and compete at the Waldorf-Astoria Orlando and Hilton Orlando Bonnet Creek hotel, preparing their original recipes in 100 mini kitchens stocked with all of their ingredients. The four category winners (Breakfast & Brunches, Entertaining Appetizers, Dinner Made Easy and Sweet Treats) will be announced in the evening April 12 at the Hilton Bonnet Creek. 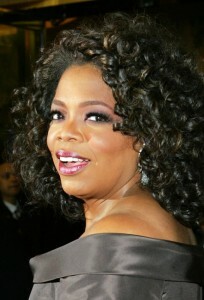 Then, in a first for the contest, four finalists will be flown to Chicago to appear on “The Oprah Winfrey Show.” On Wednesday, April 14, 2010, Winfrey will reveal the $1 million grand prize winner on her show. Visit http://www.bakeoff.com for more information, as well as past recipes. I’m gonna go plunge a fork into my eye now. 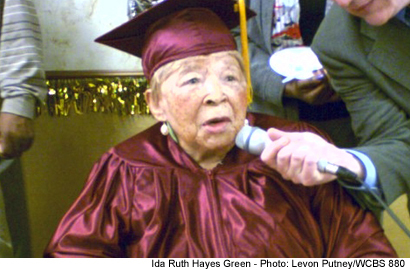 Ida Hayes-Green Graduates High School at 99! Ida Hayes-Green finally got her high school diploma, one month before her 99th birthday, just last week. She’s been very busy with all the attention, but when that dies down, Toohotmama’s intend to contact her for an interview. Enquiring minds want to know what colleges she’s targeting. Dudette! What’s your major? And we’ve got some serious advice about dorm life. Stay away from the all you can eat ice-cream machine. They’re not kidding about the whole ‘Freshman 10’. And unless you’re into drunken, one night stands, avoid the Frat parties. On the subject of Dead-week… Okay. We won’t go there. Waiting until Finals to cram might work, especially for those of us with short-term memory loss, so what the heck. Give it a try. Beyond that, enjoy. These next four years will fly by and before you know it? You’re 103. Congratulations, Ida Hayes-Green! You’re our hero and one Hot Mama!